Stinky tofu is a form of fermented tofu that has a strong odor. It is a popular snack in East and Southeast Asia, particularly Hong Kong, Taiwan, Indonesia, and Mainland China, where it is usually found at night markets or roadside stands, or as a side dish in lunch bars. Left: Deep fried version of stinky tofu. 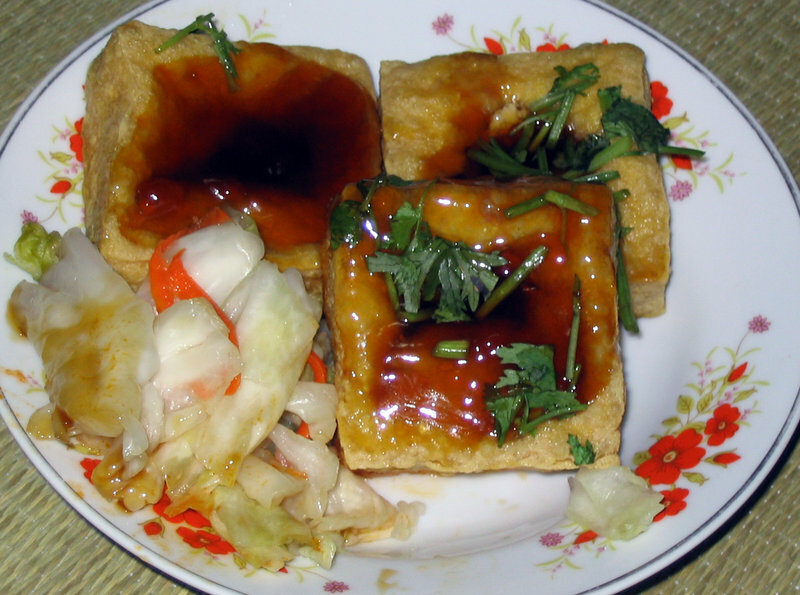 Unlike cheese, stinky tofu fermentation does not have fixed formula for starter bacteria; wide regional and individual variations exist in manufacture and preparation. The traditional method for producing stinky tofu is to prepare a brine made from fermented milk, vegetables, and meat; the brine can also include dried shrimp, amaranth greens, mustard greens, bamboo shoots, and Chinese herbs. The brine fermentation can take as long as several months. Depending on the ways of preparation, the process can be extremely unsanitary; the brine is covered with maggots and has extremely strong rotten odor. Then after the brine is made, fresh firm tofu is marinated in it for a period of time ranging from several days to a couple months. Sometimes quicklime is added to control the fermentation and maggots. Since no starter bacteria were used, the only way to determine whether the tofu has achieved desired quality is by its appearance, e.g. tofu covered in white mold and not black mold. After a successful attempt, the brine can then be kept for future use. This is also the reason why stinky tofu tastes different from vendor to vendor, and the brines are usually considered a trade secret by the makers. Even though the traditional method is still widely practiced by street vendors, modern factories often use quicker methods to mass produce stinky tofu. Fresh tofu is marinated in prepared brine for only a day or two, especially for fried or boiled cooking purpose. The process only adds odor to the marinated tofu instead of letting it ferment completely. 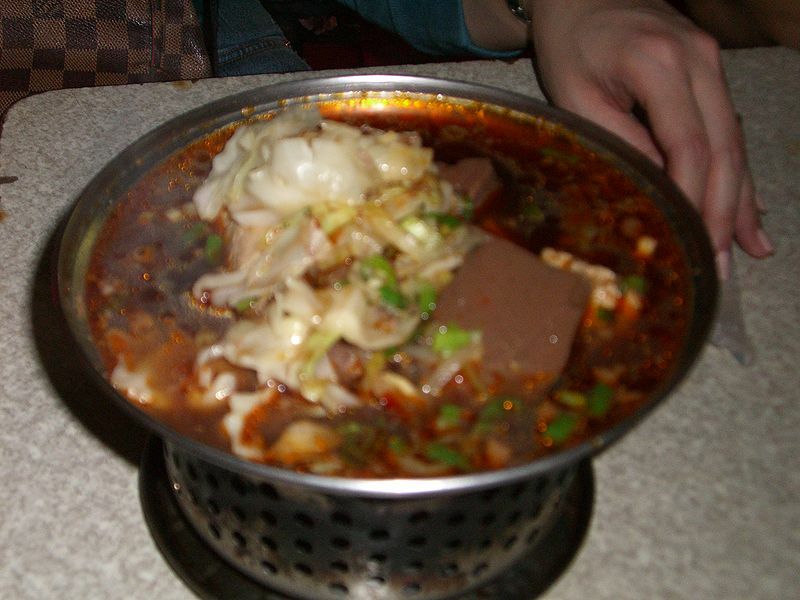 From a distance, the odor of stinky tofu is said to resemble that of rotten garbage or manure, even by its enthusiasts. In spite of stinky tofu's smell, most say the flavor is surprisingly mild. Some have compared it to the taste of blue cheese. It has also been compared to foie gras. In some instances the taste has even been compared to rotten meat. It is said the more it smells, the 'better' its flavor is.